Definition - What does Vikasitakamalasana mean? 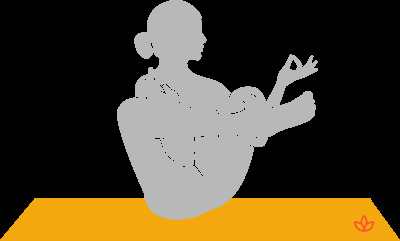 To practice the pose, begin seated in baddha konasana with the heels touching and the knees dropped off the sides. Reach the arms under the lower legs, then rock backward, drawing the arms and legs off the ground until balanced on the sit bones. The thumb and forefinger of each hand touch to form gyan mudra. In English, vikasitakamalasana is known as flowering lotus or blooming lotus. Vikasitakamalasana is also believed to stimulate the anahata (heart) chakra, which is associated with love, empathy and compassion. It also opens the heart to forgiveness, allowing the yogi to let go of grievances and negative feelings.